If you don't see what your are looking for email us. 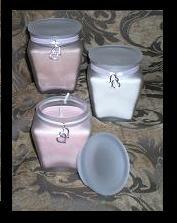 We Can custom pour the color and fragrance that best suits you. When choosing a fragrance let me give some advice from my experience of many hours of testing candles; If you like a subtle fragrance then Cucumber Melon, Papaya Mango and Fresh Pear and your best bets. 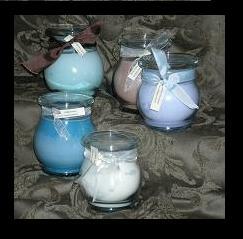 If you prefer a candle with a strong aroma then any other fragrance from the line will be perfect. Remember that like taste, smell is subjective.